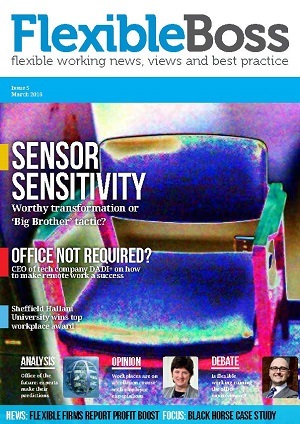 Flexible Boss was published from 2013-2016 to provide independent journalism and research on flexible working in the United Kingdom and beyond. The site remains live to promotes flexible working innovation as a solution to many of the challenges facing the economy and workforce, while recognising the challenges of implementing this philosophy. Flexible Boss founder Heather Greig-Smith is a journalist with more than fourteen years’ experience working on business magazines. With expertise in credit & finance, property & regeneration, workspace and HR, she writes on a freelance basis as well as providing PR services to small and medium-sized businesses in financial services and beyond. Flexible Boss is part of HGS Media Limited. Registered address: c/o Distilled, 4th Floor, Chapter House, 18-20 Crucifix Lane, London, SE1 3JW.